The therapeutic virtues of green tea have been proclaimed since the days of Ancient China, when previous to consuming it as a delightful beverage, it was used to relieve such ailments as depression and headaches. Well, since that time we could say that green tea has come a very long way in taking its place as a forerunner of good food for healthy living. Most studies on the health benefits of tea have been done using green tea, and the benefits of it are more widely known and talked about than any other variety of tea. 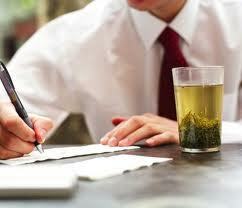 Green tea health benefits are expansive, the possibilities of which have caught the eye of many a researcher. It is interesting to note that more people in the world drink black tea than green tea. In fact, black tea is the most widely consumed beverage in the world, second only to water. It would follow that someone would be interested to know what benefits, if any, are derived from drinking black tea and/or if there are any drawbacks to it. Fortunately, there have been some recent studies based on black tea, and the results have been good news for those suffering from diabetes, or who have a history of it in their family and are at a high risk of developing the disease. Researchers had already initially studied green and black tea and discovered that, in animal studies, either tea may aid in the prevention of diabetes (Type-1) and may slow progression of the disease once developed. Tea does this by helping to regulate the body’s glucose. With Type-1 diabetes, the body is unable to produce insulin, or produces very little of it. Insulin is a hormone which converts sugar (glucose), starches, and other carbohydrates into energy. An issue of the Journal of Agricultural and Food Chemistry reported that researchers had given green tea and black teas to rats that had diabetes for a period of three months. They discovered that both types of tea promoted a decrease in blood-sugar as well as inhibited the development of cataracts. The amount of tea given to the study rats, would be equivalent to an average person consuming 4 1/2 8-oz. cups of either green or black tea per day. This is where concentrated tea supplements or extracts may be beneficial. Additionally, a handful of smaller clinical studies discovered that daily supplements of green tea extract decreased the level of hemoglobin A-1c (a diabetes indicator) in people who were borderline diabetic. Recently, researchers began to investigate black tea, analyzing its effects on tea drinkers. While green tea properties, primarily its health-benefitting catechins, are simpler to identify, black tea is more complex, having flavonoid polyphenol properties. Polyphenol catechins contain antioxidants that are responsible for the remarkable healthful benefits of drinking tea. Because processing levels (length of oxidation) varies by tea type, the level and type of health benefits can also vary by tea type. While studies conducted on black tea and rheumatoid arthritis have not been positive, black tea is known for its antioxidant, anti-hypertensive, and immune boosting properties, but a 2009 Journal of Food Science study, reported on by the Institute of Food Technologists, shows that black tea is also a viable way of controlling diabetes. Researchers at Tianjin Key Lab. of China investigated polysaccharide in green, oolong and black teas to determine whether they could have any impact on diabetes. Polysaccharides are carbohydrate thought to benefit people suffering from diabetes by retarding the absorption of glucose. The researchers found that of the 3 teas, the black tea polysaccharides had the greatest amount of glucose inhibiting properties. Black tea’s polysaccharides showed also the greatest effect on scavenging free radicals. Free radicals are found in the body in initial stages of diseases, like rheumatoid arthritis and cancer. Some researchers have reported that both tea and coffee consumption are negatively linked with Type-2 diabetes. But, Dr. Rachel Huxley of Australia’s George Institute for International Health led a review of the research, looking at 18 studies completed from 1966 to 2009 and comprised of a total of 457,922 patients. Seven studies investigated the link between tea and the risk of developing diabetes. Huxley’s team found from compiling study summaries that participants who consumed greater than 3 to 4 cups (8 oz.) of tea daily had approximately a 20% reduced risk of developing diabetes than participants who didn’t drink tea. Their findings also suggest that protective effects from consuming tea might not be wholly related to caffeine, but from a wider range of chemicals in the drink. For example, the catechins that are found in tea may reduce the production of glucose in the digestive system, prompting lowered levels of insulin and glucose. They also found that theaflavins and thearubigins found in black tea actually imitate insulin activity found in our bodies. It is clear that both green and black tea play some role in protecting cells from the effects of diabetes. It’s not a cure for diabetes and no one should replace insulin prescribed by a medical doctor with tea, but it certainly is a push in the right direction. Use Green Tea to Alleviate Acne Outbreaks and Repair Scars Is There Really a Link Between Drinking Tea and Weight Loss?